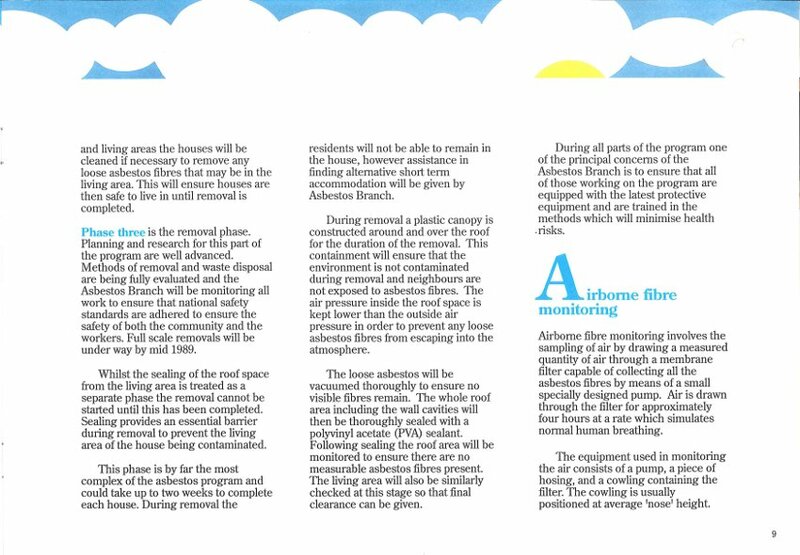 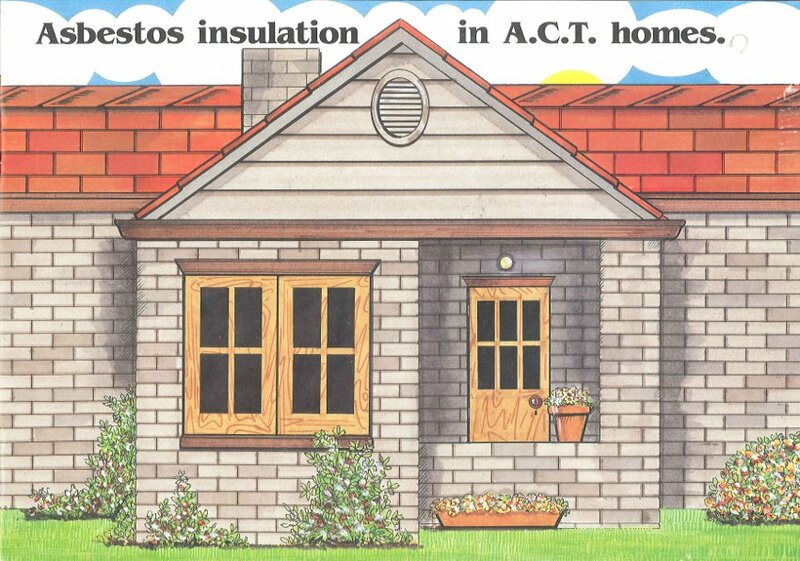 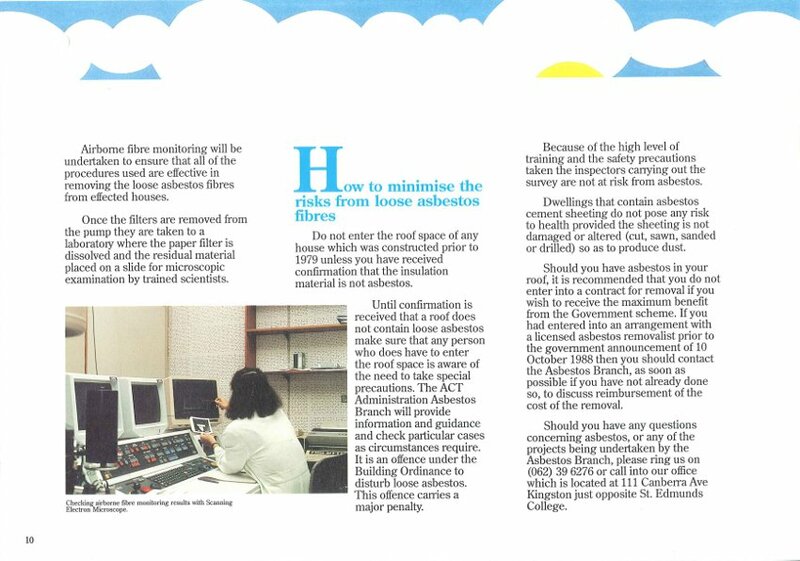 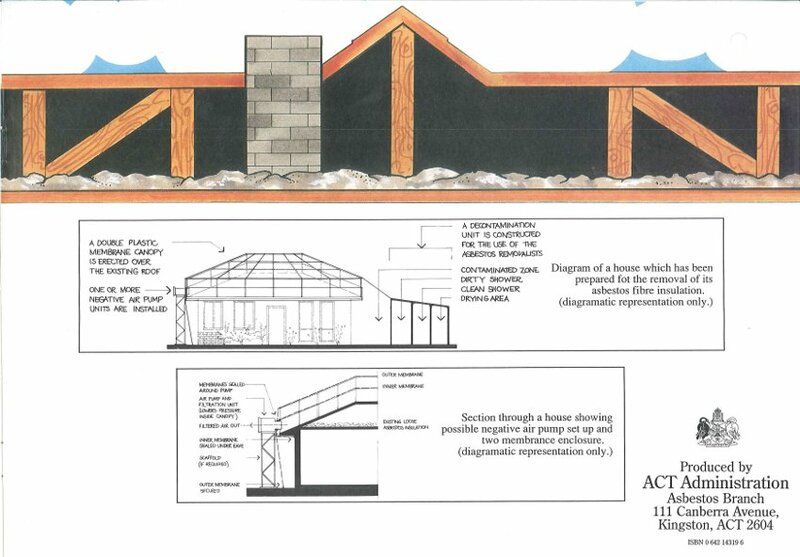 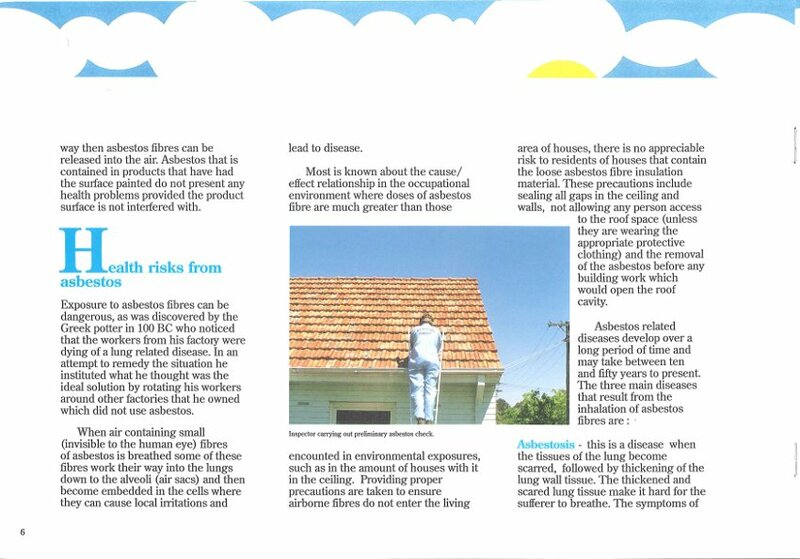 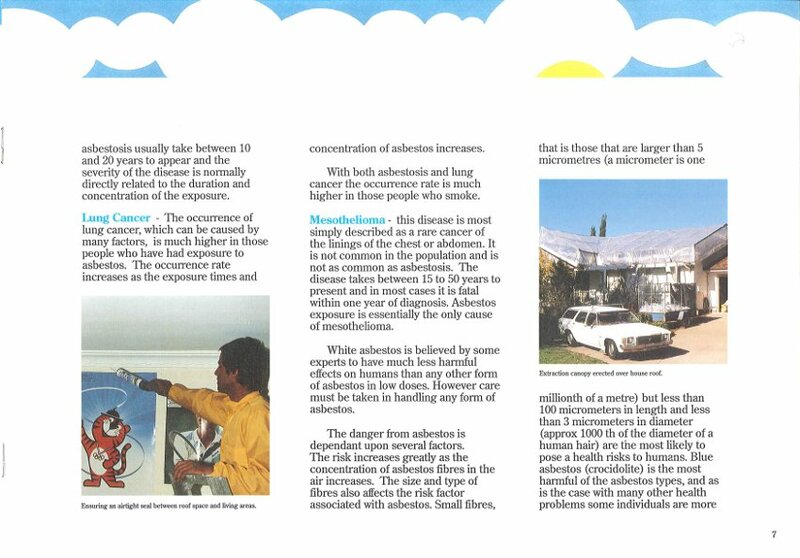 In October 1988 the ACT Administration created the Asbestos Branch to establish the extent of loose asbestos insulation in Canberra homes. 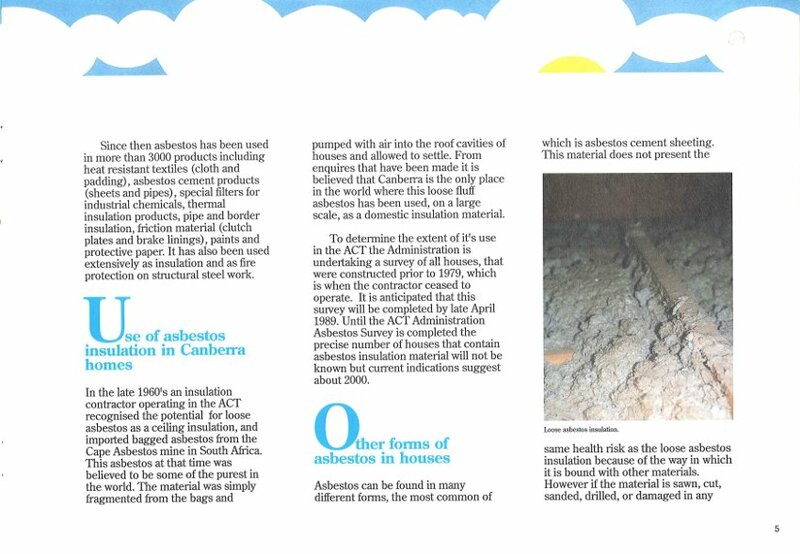 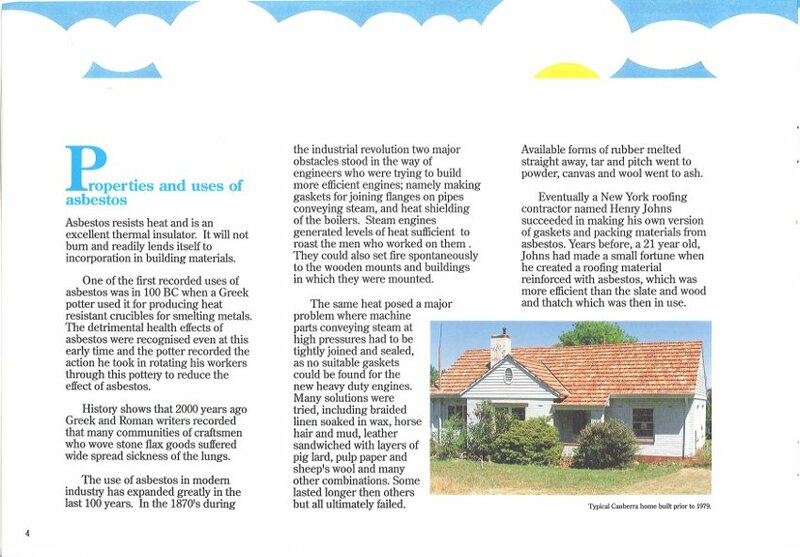 This insulation was pumped into the roof cavities of over 1000 homes in the ACT as well as many other homes in the surrounding region in the late 1960s by a private contractor. 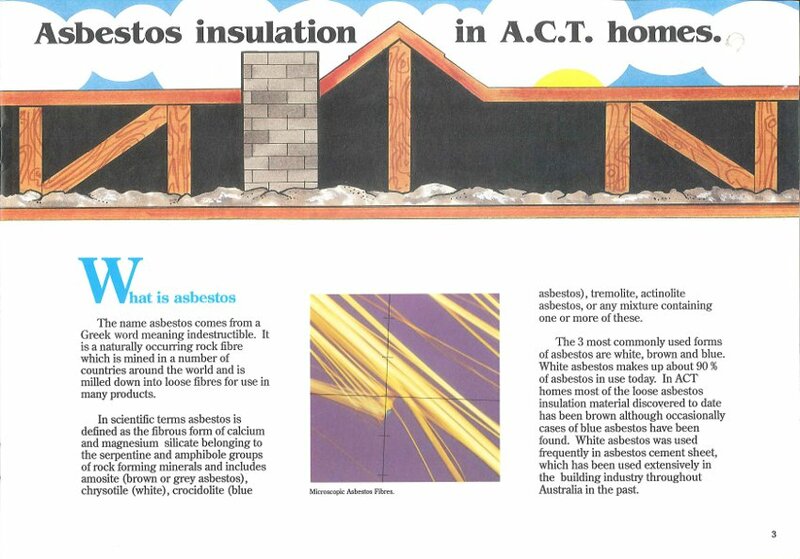 As awareness increased on the long term health issues surrounding asbestos, the Asbestos Branch undertook the major health initiative of identifying and organising the removal of the loose asbestos insulation. 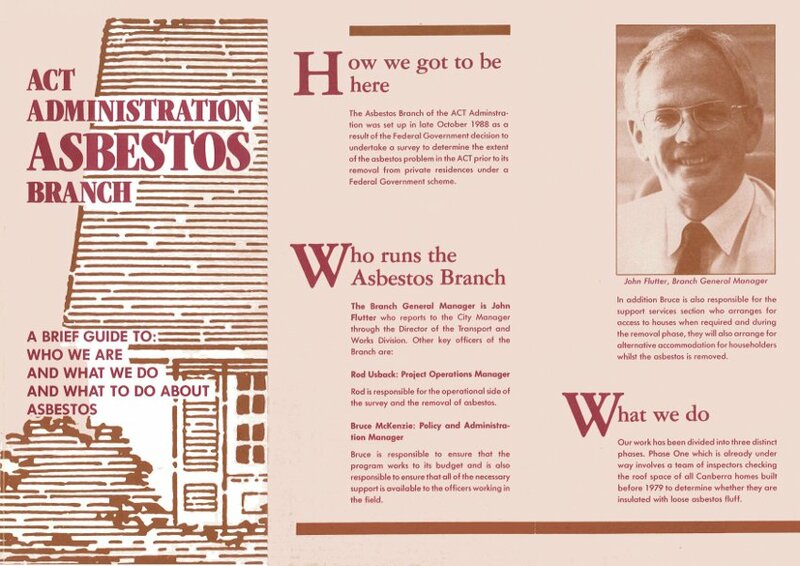 This task was completed in 1993. 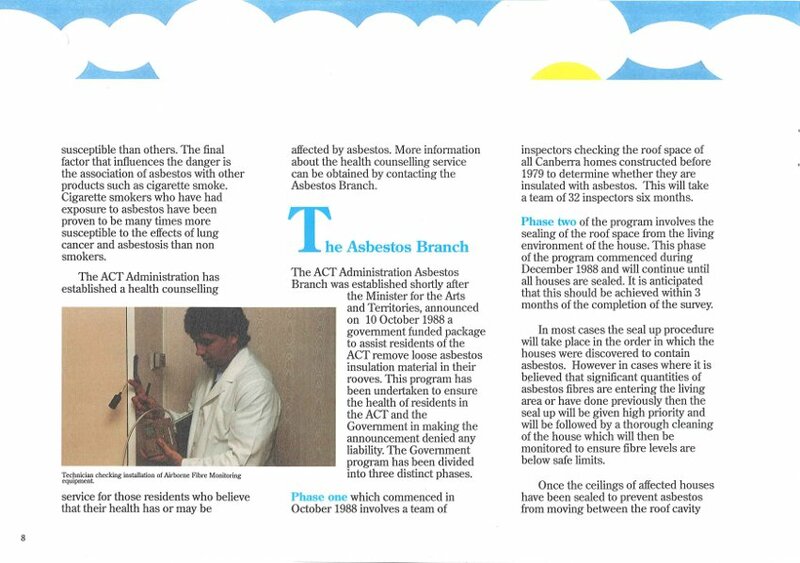 A 17 minute public information video was also produced by Transport & Works ACT. 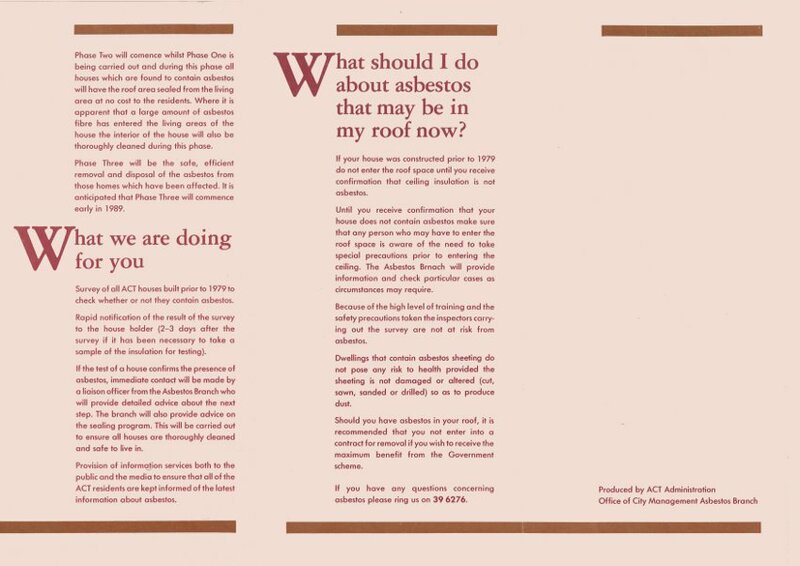 This can be viewed by appointment at the ArchivesACT Reading Room.